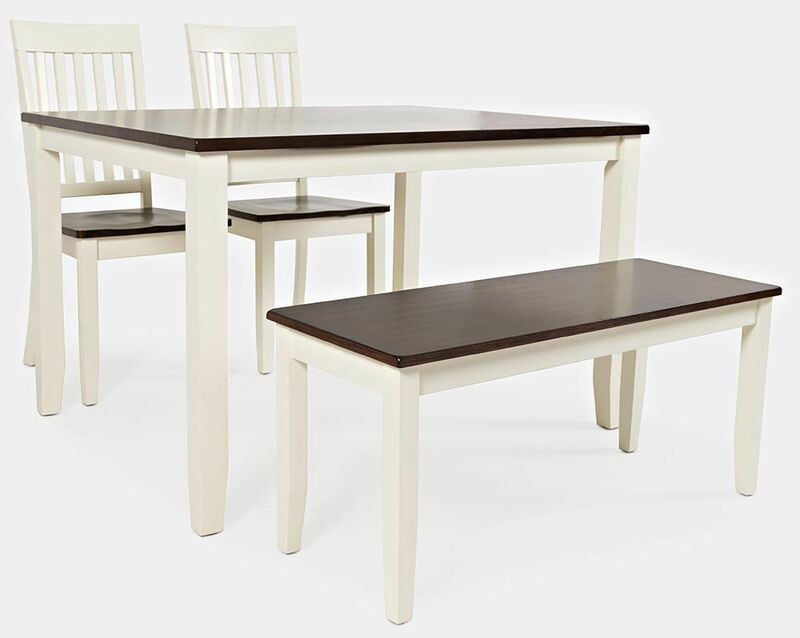 Create a serene and inviting place for dining with the Decatur Set. Bathed in a darling autumn brown / white finish on acacia solids and veneers, this savy set is just what your eat-in kitchen or dining space has been missing. Well appointed to serve your family through numerous feasts, brunches, and coffee sessions, it will be a home staple for the long haul. Create a serene and inviting place for dining with the Decatur Set. 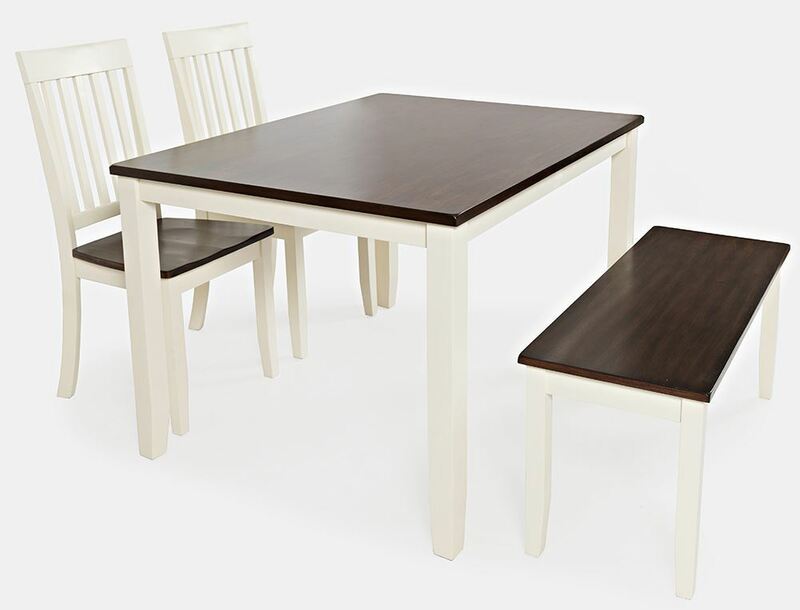 Set includes table, two chairs, and one bench.